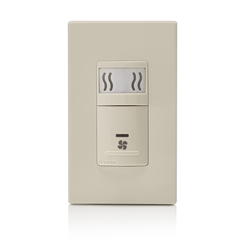 The Leviton humidity sensor fan control contantly checks room humidity levels and automatically turns on the attached fan (or alternate load) when humidity rises. 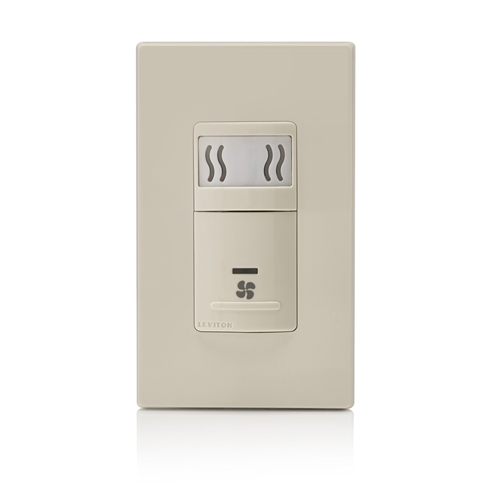 The sensor features adjustable settings for sensitivity, humidity level and automatic time out. Automatic humidity control helps to lower condensation levels which helps to reduce mold and mildew as well as providing a more comfortable environment. This fan control switch is for single pole (single switch) installations and requires a neutral wire.